Coconut farmers bringing in the day's harvest with the most important and skilled labor force--two monkeys. 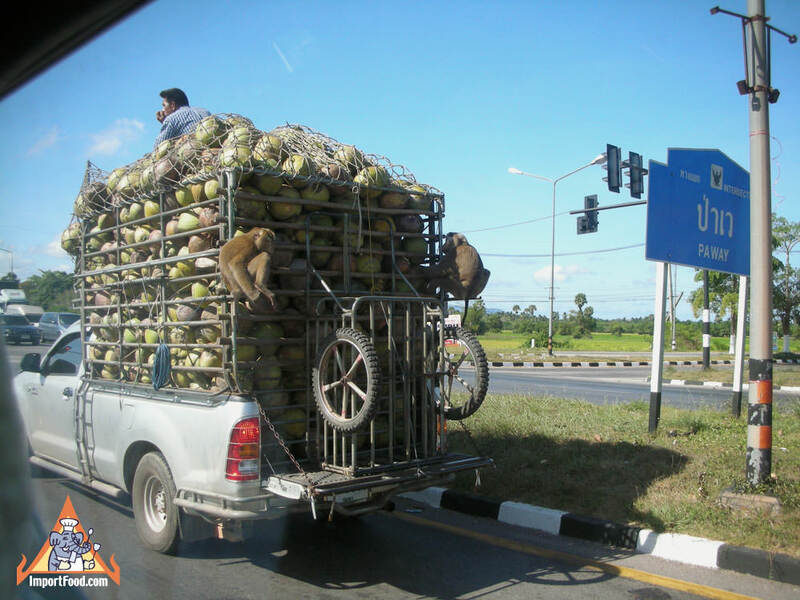 Trained monkeys have gathered coconuts for generations in Thailand. It's quite a sight to watch them climb the tall trees to gather coconuts at the right stage of maturity. 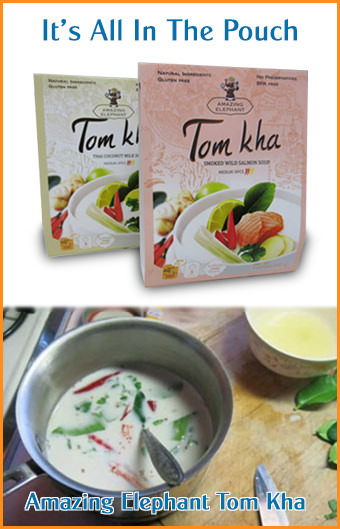 Our best Thai coconut milk is Aroy-D brand, all natural, free of preservatives, and packed in cartons not cans.